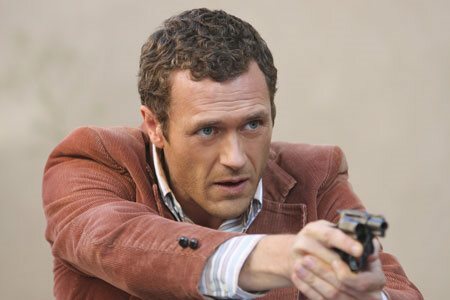 After a hit-and-run accident in modern-day New York City mysteriously transports police detective Sam Tyler (Jason O’Mara) back to 1973, Sam finds himself in the cultural hotbed of New York City in the tumultuous times of the Vietnam War, Watergate, women’s lib and the civil and gay rights movements – without a cell phone, computer, PDA or MP3 player -- suddenly hurtled back in time when he’s ripped from 2008 after being hit by a car while chasing down a criminal. Stuck in 1973 and working out of the rough and tumble 125th Precinct in Manhattan, Sam has to contend with the urban wilderness of New York, complete with a hard-living bully of a boss (Harvey Keitel) and colleagues who never met a rule they wouldn’t break to catch a bad guy. The good copbad cop culture of the ‘70s put this 21st century hero on high alert, but before he can change the world, he has to learn to survive in it. 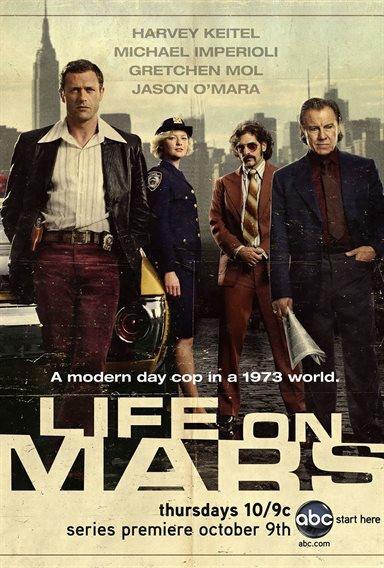 Download Life on Mars in Digital HD from the iTunes store. Life on Mars images are © ABC Studios. All Rights Reserved. The show could have been one of my all time favorites, because this was a near-perfect bull's eye for the target market of its kind of strangeness -- I am not kidding! The story is fascinating; a police detective in 2008 is hit by a car while he is following up on a case where his girlfriend has been kidnapped and is in danger of being killed. Instead of waking up in the hospital, he wakes up in 1973 and looking up at the majestic World Trade Center towers. While trying to understand what has happened to him, assuming there must be a reason, he joins the same police force (albeit decades earlier) to try to figure out why he is there and what happened. He has a list of possibilities, and during the show several of them seem to play out. Is he in a coma? He appears to be, and he gets phone calls from a hospital. Is he in a virtual reality? Maybe – there is a robot that sometimes appears that only he can see. Between heaven and hell, there are angle-like beings. Is it part of a conspiracy? There is a strange voice on the phone and mysterious men with folders that talk about some particular project. The police procedural part of it is excellent. Harvey Keitel plays the iconic, tough-as-nails, police Lieutenant. Gretchen Mol plays the brilliant, beautiful, Annie Norris -- a police woman in a world where women's liberation is pretty much a decade plus away. 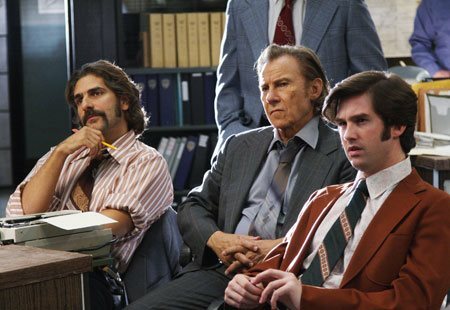 Michael Imperioli plays Ray Carlng, a macho 70's guy with an eye-popping, 70's mustache. 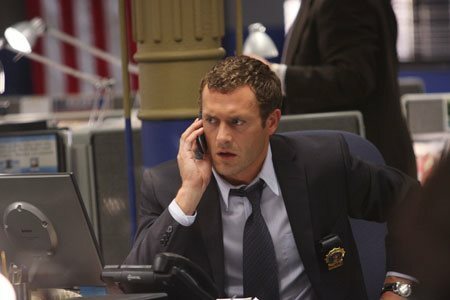 Jason O'Mara rounds out the cast as Sam Tyler, the main character and the guy at the center of the mystery. The meat of the story combines a weekly police story, with outstanding 70's flare, and sort of a lost-style science fiction mystery. Pieces of the future randomly appear in the past (for a limited time). Mysterious phone calls and voices from the TV speak to Sam. He may be dying in a hospital bed, and his actions in the past might be the only way to save his future. At least two or possibly three love-interests spiral around him. Will he be faithful to his betrothed in 2008? Or will he fall in love with the obvious (and long suffering) Norris with whom there is undeniable chemistry? What does he have to do to get home...or does he even want to go home? 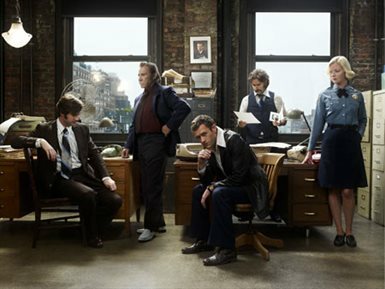 When the show was canceled, the crew had a chance to end it on their terms, such as they were -- the decision came soon enough to give the series a wrap. I am grateful for that. That process needs to be the standard, so we get some sort of closure for our favorite shows rather than just having them end with Objects in Space and hoping for a movie that resolves something. In the case of Life on Mars, though, I wish they hadn't handled in that way. I will give you some discussion--and then spoilers. 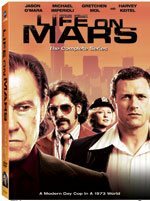 Life on Mars suffers not from its concept, although complex, is brilliant; but from its format. The show relies on several conceits that hurt it. In my mind, the first is the future girl-friend. We only meet her in the first half of the first episode -- for the rest of the show she has a presence in some unseen hospital room. There is no chemistry with her, and the actual flesh and blood actresses on the show that are in the 1973 part are far more engaging to us. We intellectually know that Sam is engaged, or almost engaged, but the show doesn't sell us on that point. The second problem is that Sam is obligated to do episodes of future-speak. He calls movies that have "just come out" classics and has to periodically remind us that he is from the future and 1973 is strange and maybe even quaint. Well, we know that. The show's visuals give us such a rich 1973 there is no getting around that. We know that we would shut up about our strange past-future life. In Life on Mars, the show deals with it by having the other detectives think he is odd and call him 'space-man'. Well, it works okay, but it wasn't necessary. This does get better as the show goes along. It seemed like it was something they felt they had to do in the beginning in order to keep the audience up-to-speed, but then realized it was unnecessary. Finally, there is the pace of reveal. Like Lost and the X-Files, Life on Mars to an extent relies on there being an unfolding mystery that we get pieces of each show. In some cases, it is just eye-candy -- the robot zips around, and we get to watch the special effect. In other cases, it is ominous material we need to fit into a hypothetical bigger picture. The Internal Affairs' guys seem kind of Men-In-Black-ish. The house in the country seems pretty hellish – what is going on with all that? Unfortunately, as we have seen, very often the creators either do not know what is going on, or if they do, they do not really care enough to make the show carefully crafted. Having seen the end, I can say that I don't think there was sufficient care taken to make sure the reveals added up to anything. The material on the DVD is good; some behind the scenes stuff, commentary, and blooper-related scenes. The quality is high, and there is nothing to wish for. It is clear that the show probably deserved more of a chance than it got, and the creators simply did the best with the time they had. Clocking in at 17 episodes, Life on Mars' early episodes is, simply put, amazing. It is the gestalt where it fails. If you want to see some top-tier TV with an aggressive concept and fantastic casting, despite its weaknesses, it is worth checking out. The fact that it does end makes the DVD set worth having; if it didn't, I do not think I could truly recommend it, given its weaknesses. Life on Mars begin life, I have read, as a BBC show for British TV with the same concept. In the end of that, the character returns to the future, in a hospital bed; and after a period of time, decides he liked it more in 1973. He commits suicide and winds up back in his 1973 life with the woman who really made him happy. I haven't seen the show, but if handled appropriately that would be a fine ending. Given the concepts of the American incarnation, I think it would have been tricky, but I could see this team pulling it off. In the American version, however, Sam Tyler wakes up and discovers he's an astronaut on a mission to Mars. The other people from 1973 are his crew-mates and the whole thing--him being a cop, his girl friend, his dad--his whole life--the whole character we've come to see--was all a VR induced hallucination that went mildly awry in a meteor shower. This has the effect of compounding every format problem that the show suffered from to an incredible degree. Since Keitel is his father in real life, all of the family drama, during his early life -- everything the show had sold us, turns out to be a lie. The father/son dynamic, which was much more a mentor/student relationship between Hunt (Keitel) and Tyler (O'Mara) remains; but nothing else does. The show turns out to be elaborate and intensely literal -- given the name. The crew is searching for Life on Mars, Keitel's name is Tom, and he is a Major that is rounding out the David Bowie references' prank on the audience. The ending is upbeat enough so that I do not feel abused, but it made all the speculation about what was "really going on" meaningless. I respect the right of creators to end a show any way they want. I will also accept that it is the journey, not the destination that is most important in judging the work. However, taken as a whole, Life on Mars gives us an intriguing mystery, a meaningful character, and weighty questions. In the final act, it gives us the emotional equivalent of zero-gravity, so I can't help but wish I would have just watched the BBC version instead. Life on Mars images © ABC Studios. All Rights Reserved.